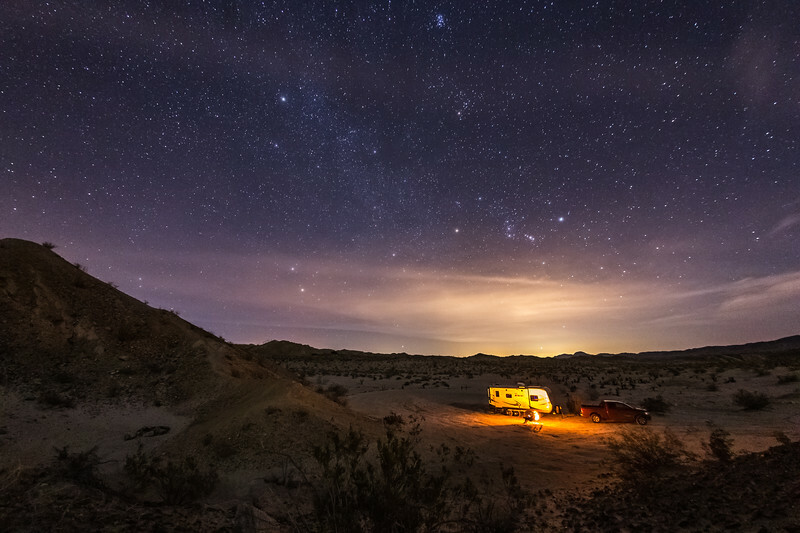 Yet another nice starry and partly-cloudy night at the Hollywood & Vine area of Anza-Borrego Desert State Park. This is a single frame from another 5½ hour time lapse I shot last night. Video to be posted in the near future. This area is nicknamed "Hollywood & Vine" because there was an old street sign placed here decades ago with those names on it. A couple of years ago, the sign was stolen. There are recent reports, however, that the park rangers found the old sign discarded on some BLM land. Hopefully they reinstall the sign soon.